Oh boy, this is exciting! 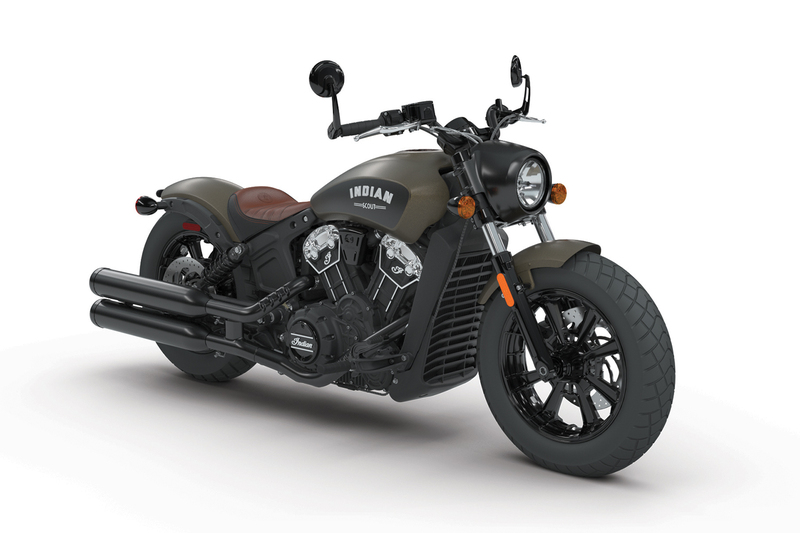 The bobber resurgence has just gotten even more serious with Indian announcing their newest bike, the Indian Scout Bobber. 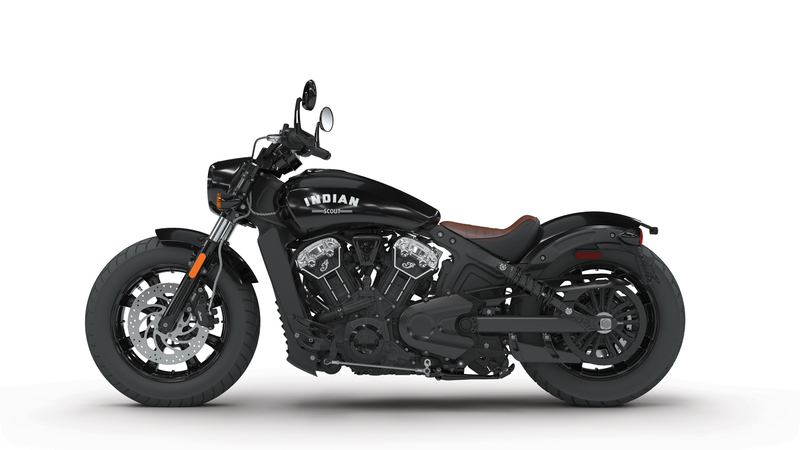 Ever since Polaris resurrected the famed Indian name they have been on a war path to get the brand back in the main stream. 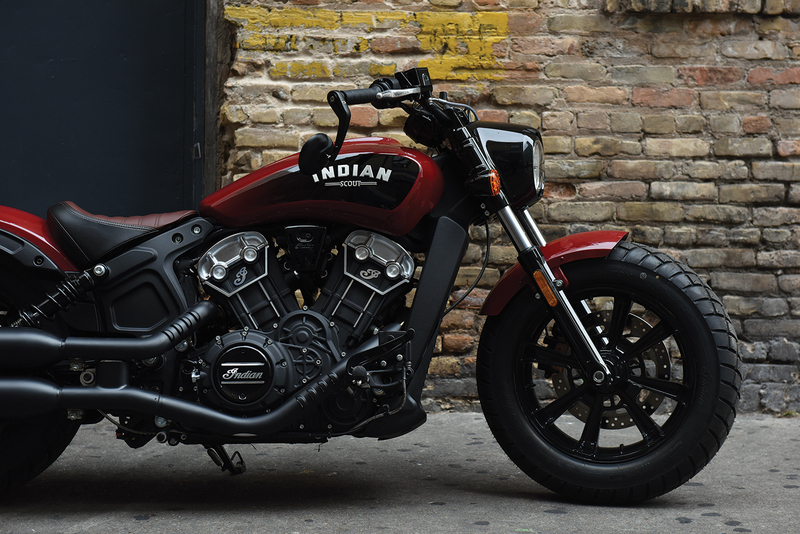 When Polaris closed the doors on their other cruiser brand, Victory, it sent a clear message to what they intended to do with Indian. And now we are finally seeing that plan of attack coming to fruition. 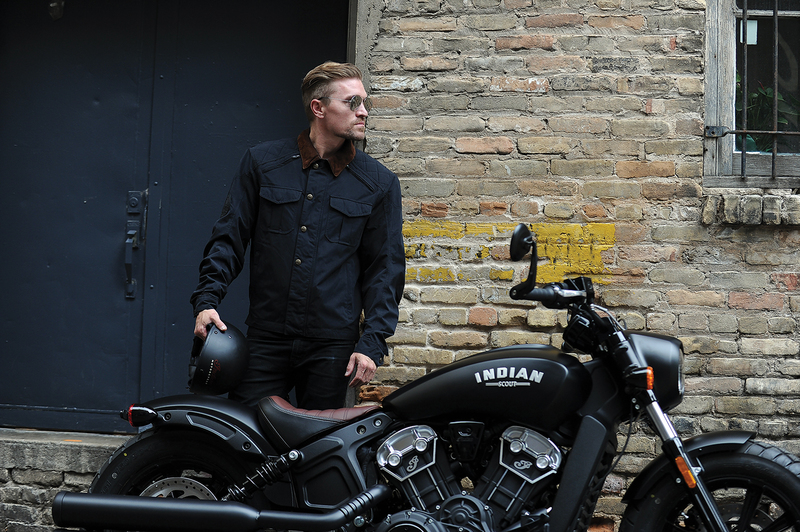 First Indian released the Limited Chieftain, a true bagger that ditched the long running vintage appeal. 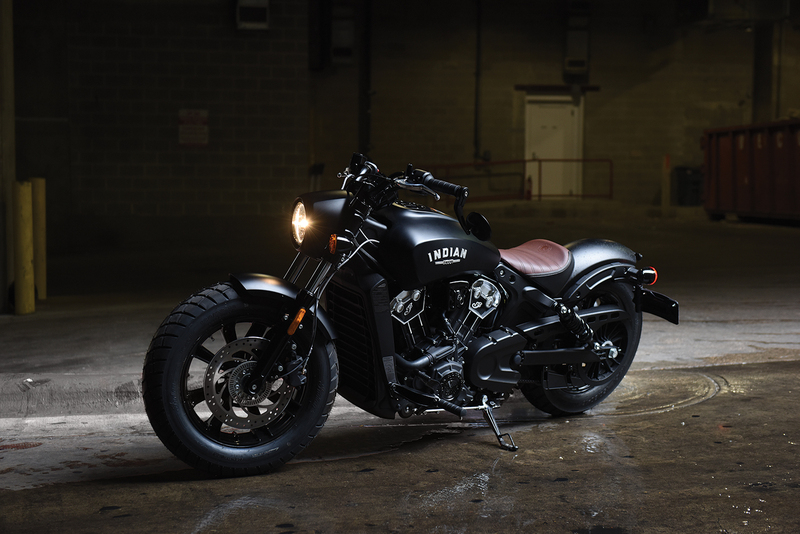 Now for 2018 we have the Scout Bobber, a bike for the modern rider. 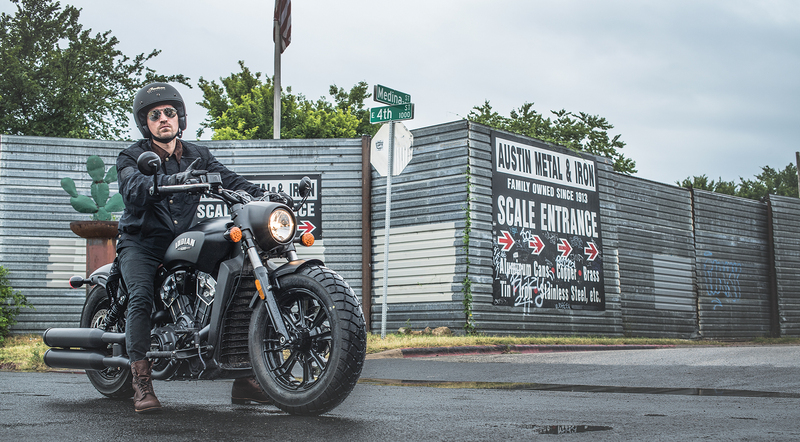 The Scout is already a phenomenal motorcycle. 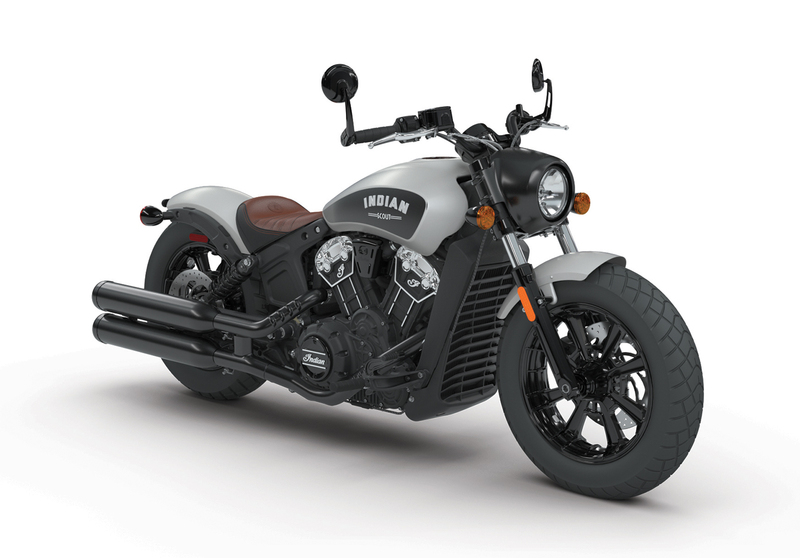 I made it a point to ride one the instant they were released and I have to say it is by far the best riding motorcycle in its class. And that is unfortunately, part of the problem. The class it falls into is that of the small cruisers, a class dominated by beginner riders that are looking to get some seat time before jumping into the big leagues. And while the Scout excels exceptionally in that category, it comes in over qualified. 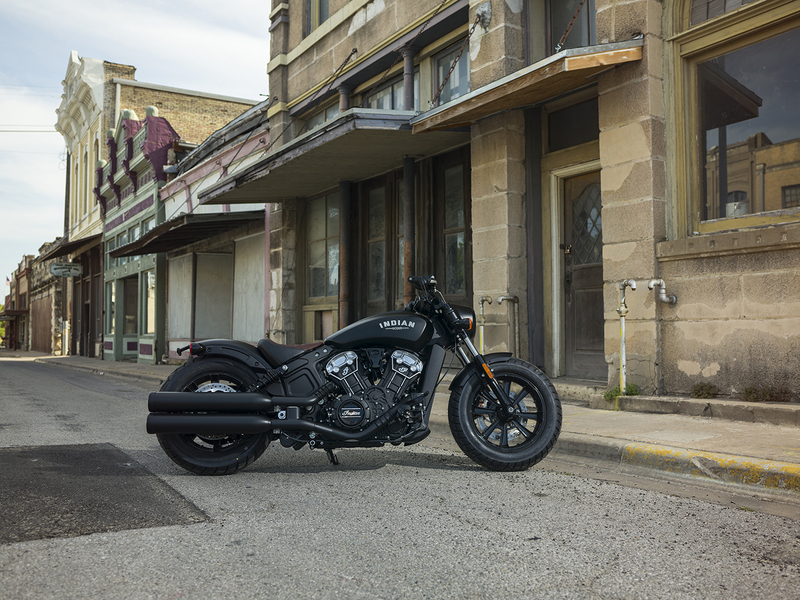 Compared to its rivals the Scout is in a league of its own as far as performance, comfort, and rideability go. 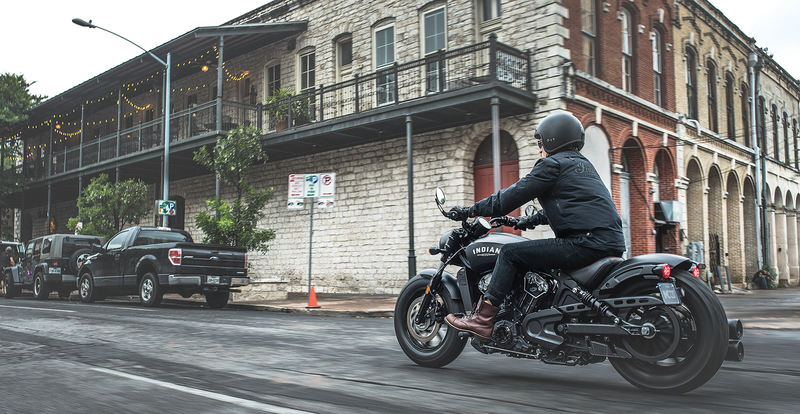 The 60-degree V-twin makes a premium 100hp with 72lb-ft of torque, all with a curb weight under 600lbs. Then there is the riding experience. I was shocked. Due to past experiences, I was expecting your typical cruiser handling and power delivery, which is the exact opposite of what the Scout delivers. 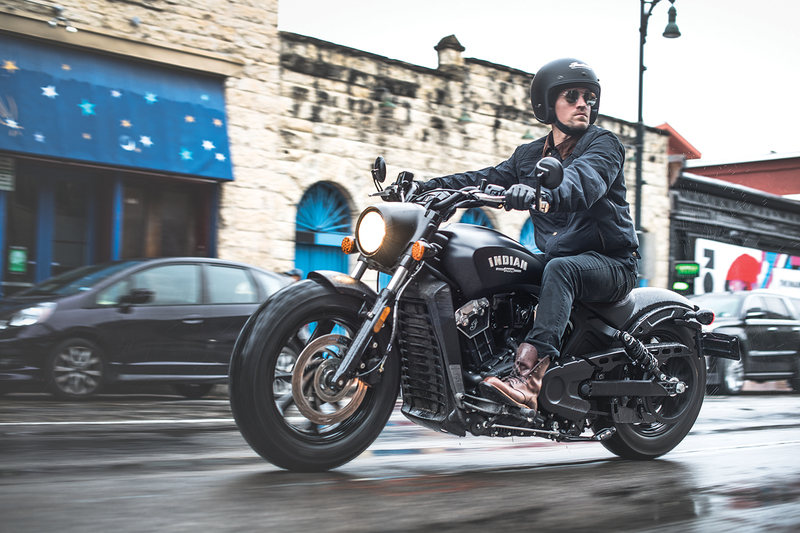 While it’s not likely going to out handle a sportbike, the Scout does feel extremely agile even with its relaxed seating position. While suspension is on the soft side it still manages to soak up bumps with ease. Even the braking was above average, usually my biggest complaint when it comes to machines of this nature. The Scout delivered so well my normally pessimistic attitude could only find two small faults with the entire package. 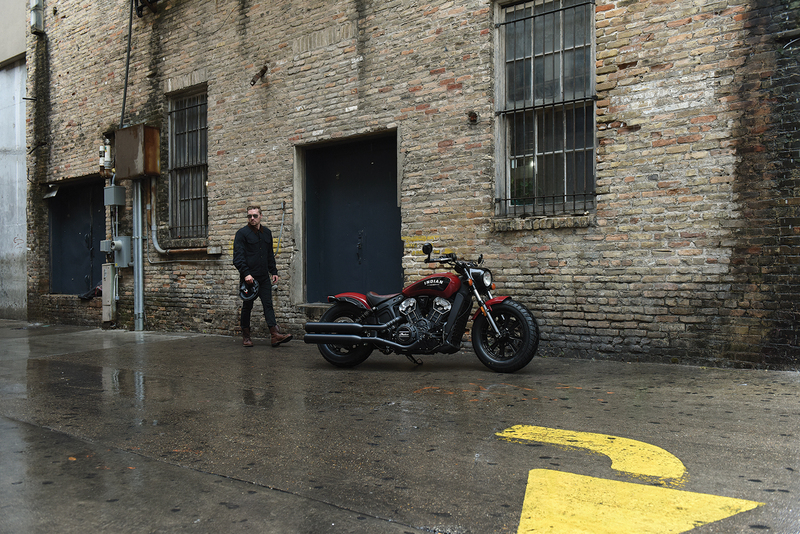 First came in form of a slightly jerky throttle at low speeds, parking lot kind of conditions. Like I said, very minor. And the second is really no fault of the Scouts, just more of personal taste. 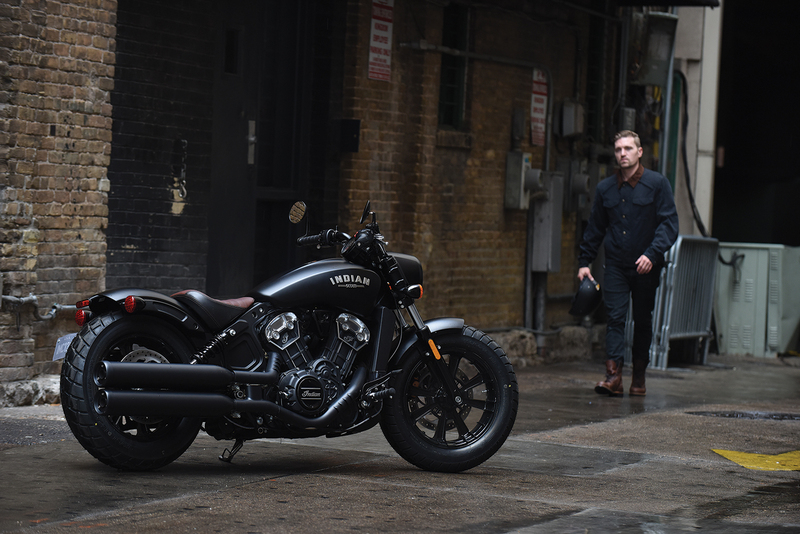 The Scout is rather small, and for me at 6ft tall, it feels a tad compressed. 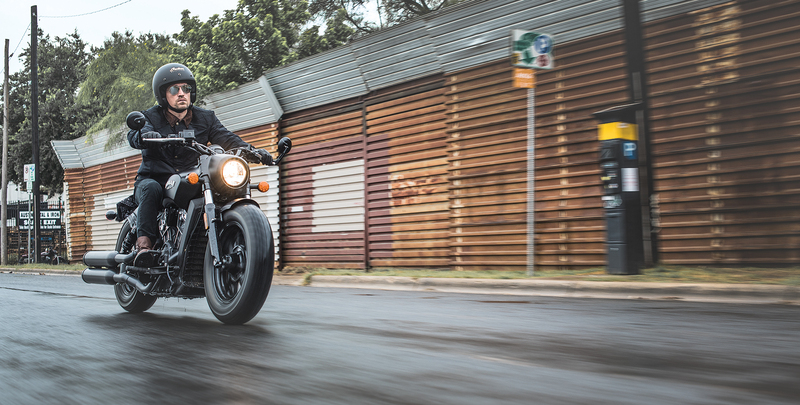 Around town and short trips under say, an hour or so, would be a breeze. 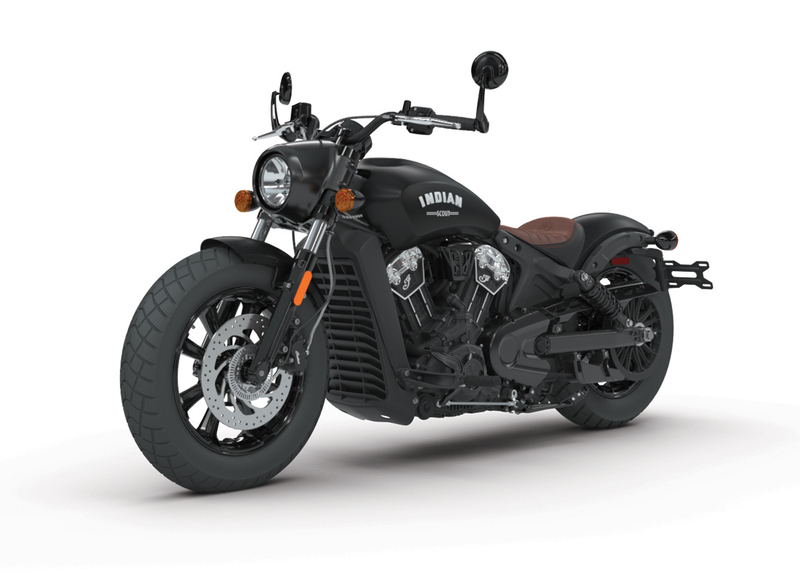 But for me a cruiser should be an all day affair, and in that regard the Scout arrived just a little short. 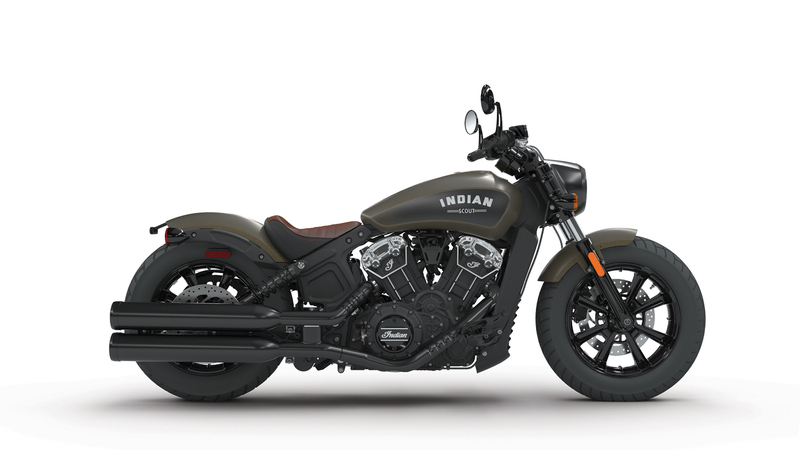 Now I only bring this up because the introduction of the Scout Bobber remedies this issue straight from the factory. No, it won’t make it more comfortable for me on those long freeway runs. But it does repurpose the bike to fit perfectly into an all new category. 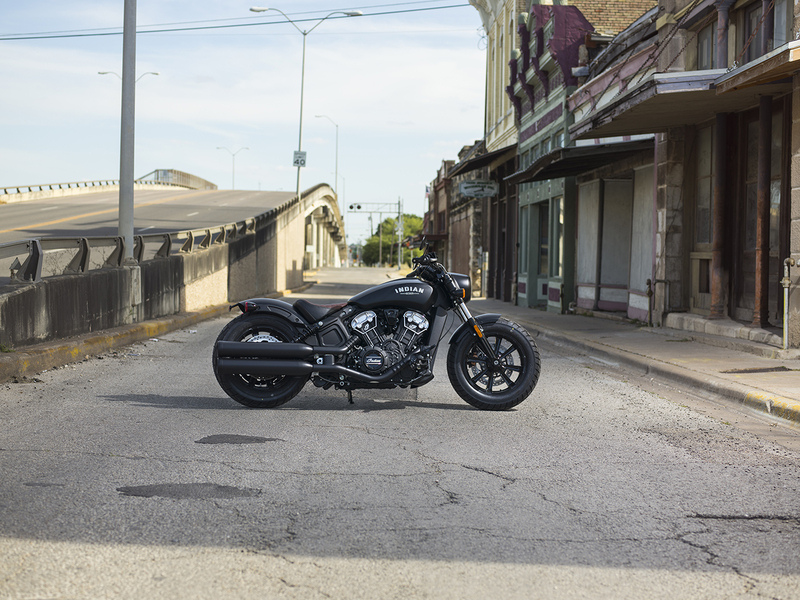 While the Bobber does change the styling direction of the bike it does so with a new purpose. 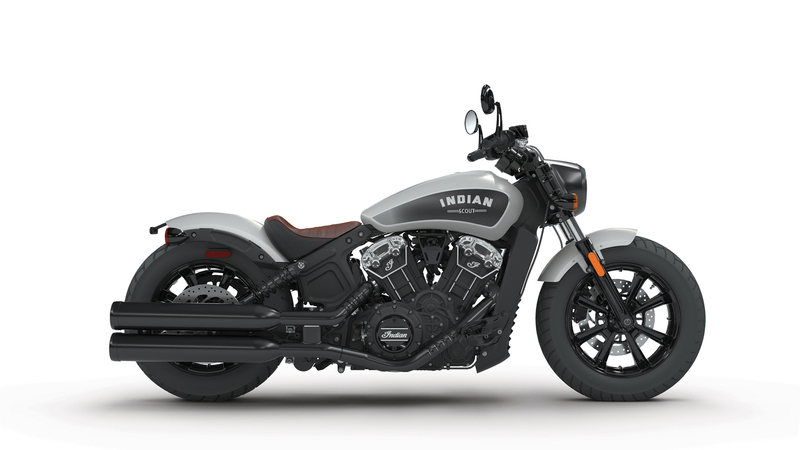 Gone is that retro look, instead replaced with new bobber styling that is so popular right now. 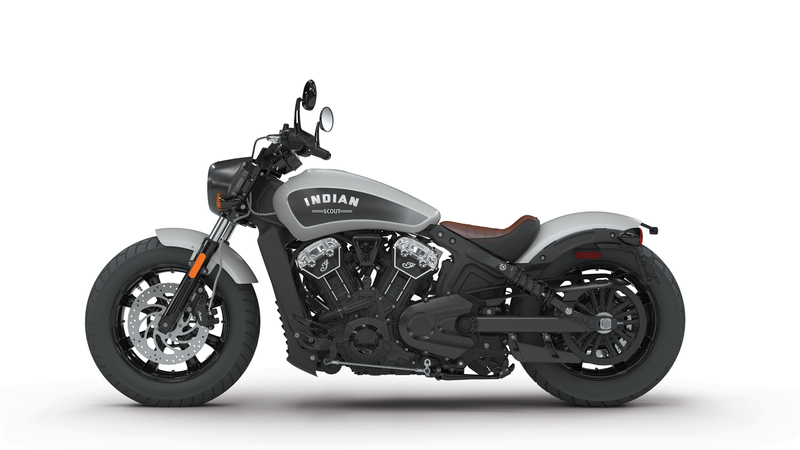 The long swept handlebars have been swapped for a much shorter set of tracker bars. 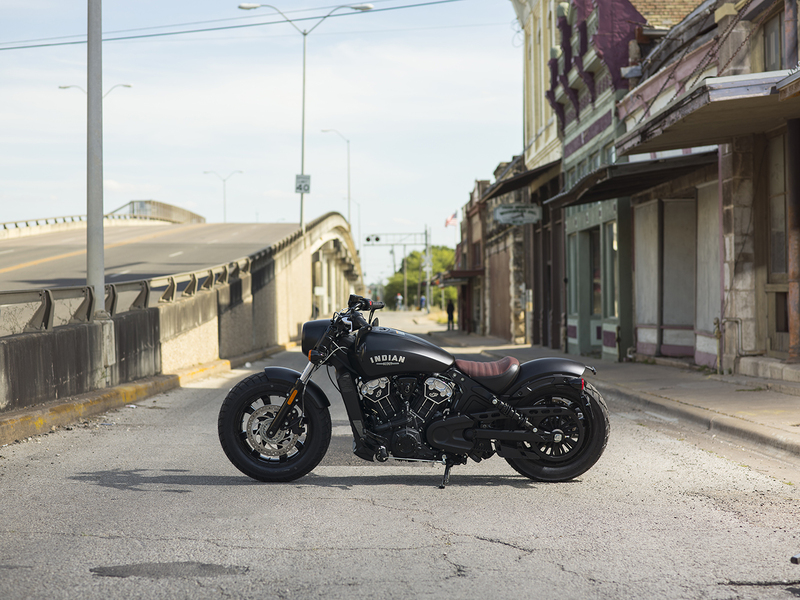 The footpegs have also been pulled back an inch and a half, transforming the cockpit from relaxed cruiser to bar-room brawler. I can only imagine the transformation this has given the Scout when it comes to ride ability. 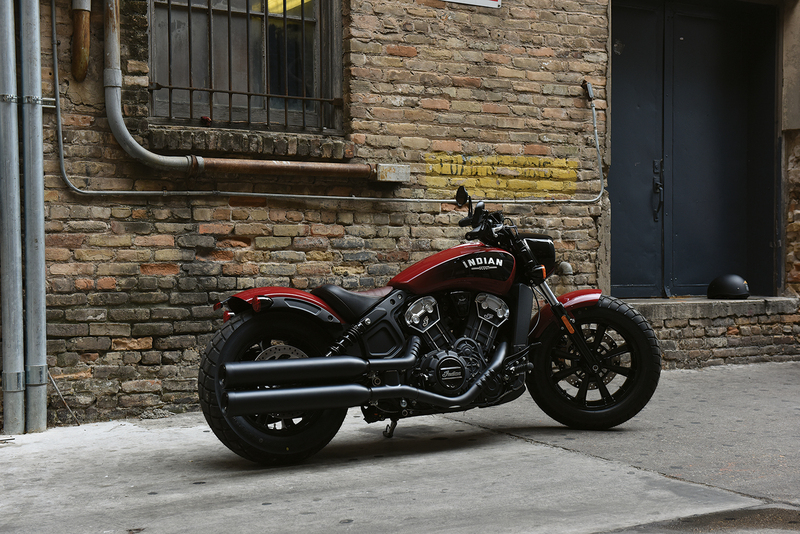 If it felt agile before, it must be an absolute ringer now. 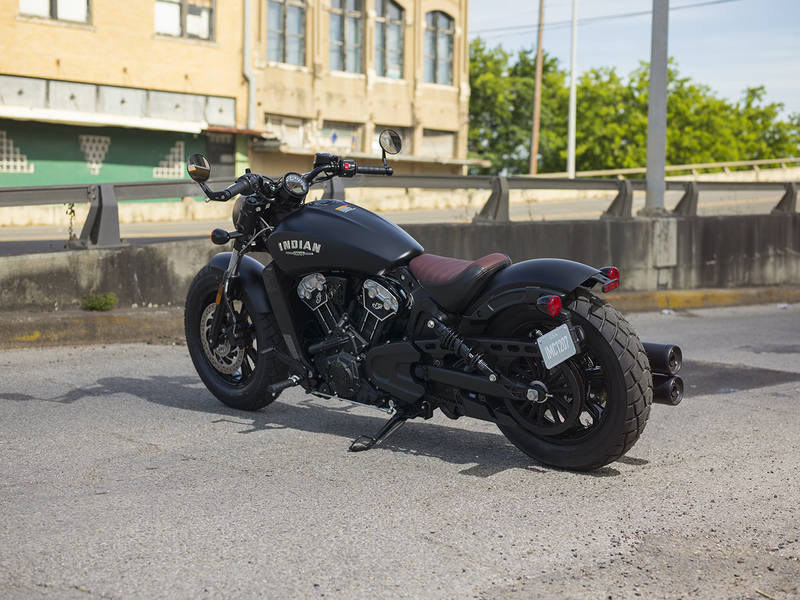 The only other performance change is the lowered rear suspension, taking it from 3-inches down to just 2. 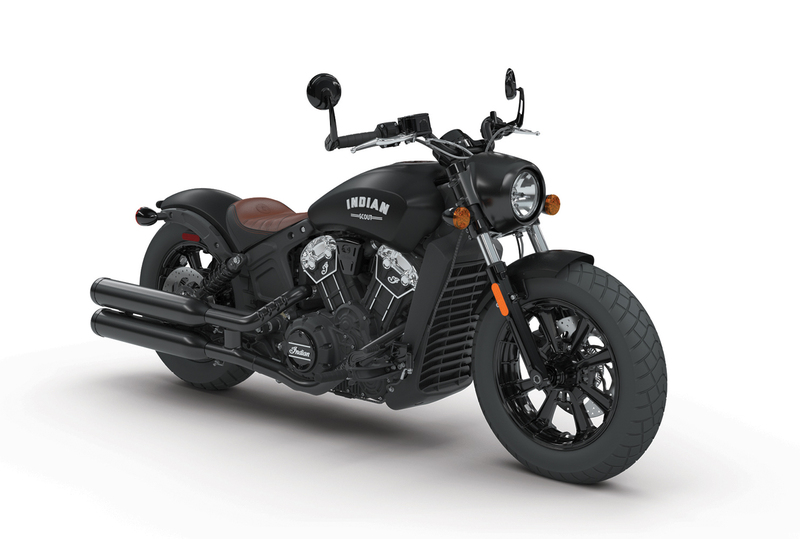 I will reserve my comments on this until I get a chance to ride one, but I think that may be my only disappointment with the new Bobber. Styling wise they made a point to be bold, “strip it down” becoming the mantra through development. 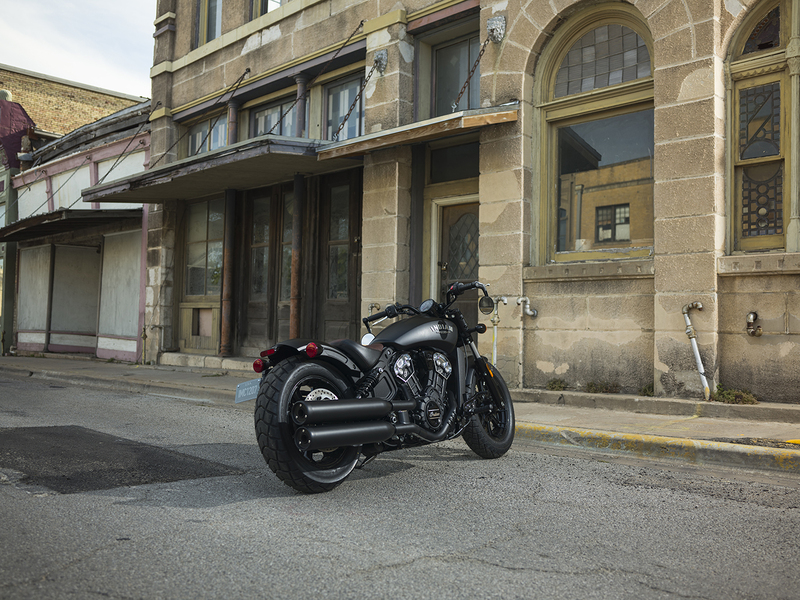 This of course means chopped fenders, and a slammed solo seat will be what immediately catches your eyes. Then you start to notice the small yet significant details that transform this machine. 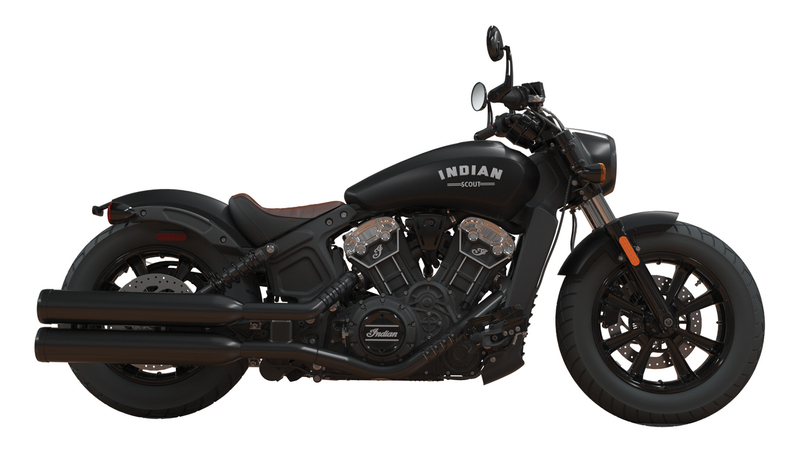 Things like factory bar end mirrors, a new block logo in place of the vintage design, and of course all of the components are now blacked out. The headlight gets a nice little shroud, called a nacelle. All of these changes have given new life to an already incredible platform. 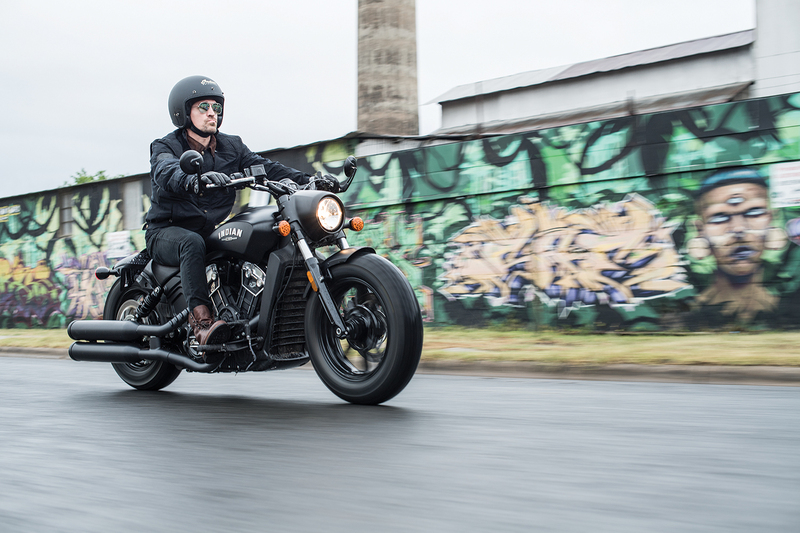 The Scout Bobber is now one of the best options for someone that wants a bike that will do everything well around town, but is still more than capable of taking a weekend trip. 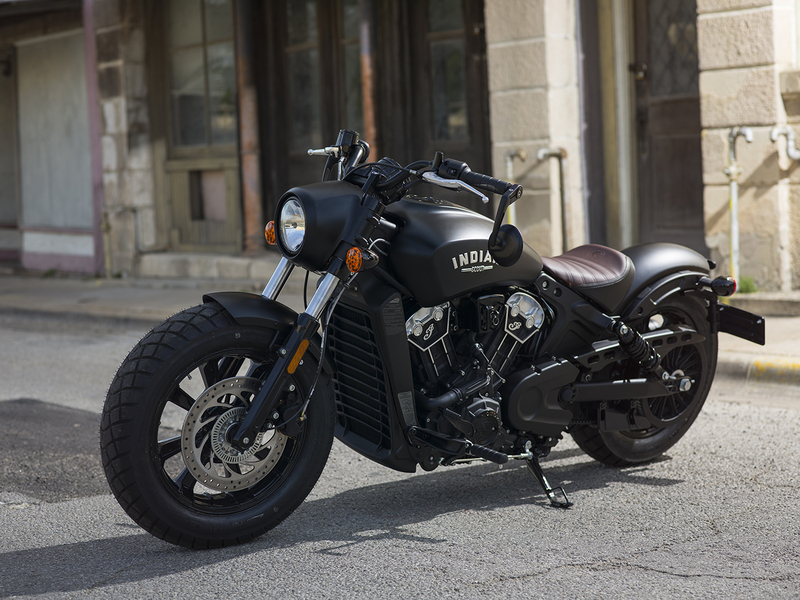 For me the Bobber version of the Scout is exactly what I wanted the original to be with out even thinking about it. I can’t wait to throw a leg over one and give it hell around town, but even without doing so I know its going to be a smashing success. I mean, just look at it. 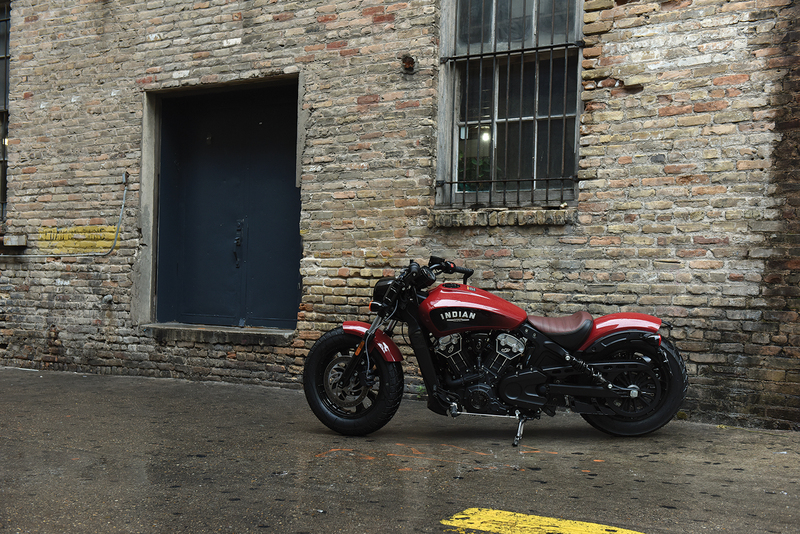 The 2018 Scout Bobber is set to hit showroom floors in September this year, with a starting price of $11,499 and $12,499. The Bobber is going to be available in five different colors, including Bronze Smoke, Thunder Black, Star Silver Smoke, Indian Red, and Black Smoke with ABS respectively. 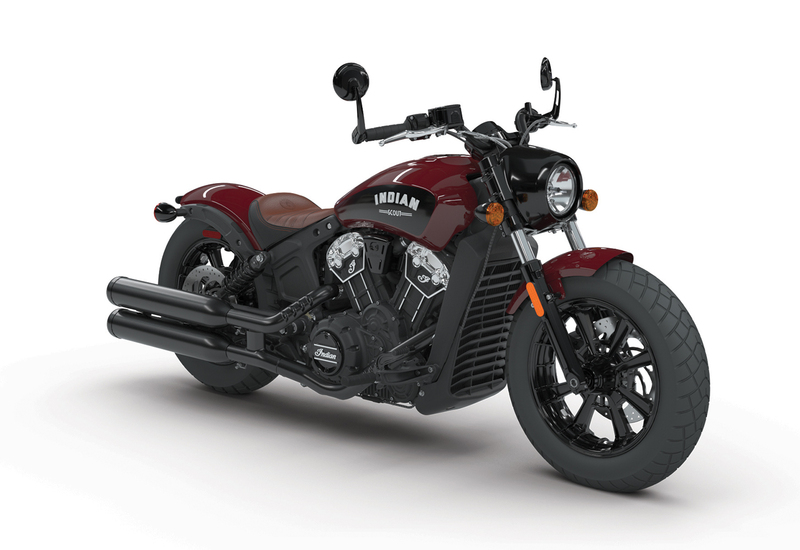 Although I think the obvious choice here is the Indian Red.